Toque and Canoe is a travel blog devoted to people who want the inside scoop on CANADA! I care for that. This week they published a piece called The Artful Hotel – Where every room is a gallery and it featured one of my favourite artful hotels – Hotel Arts in Calgary. Hotels with art installations are extraordinary places to stay. I’ve been working with Hotel Arts for a few years now and they are the artful anchor for a tour I do with my company Calgary Food Tours Inc. called Palette to Palate. For the 2016 season we’ve moved this tour to Saturday mornings so more people can join us to appreciate art, food, wine, architecture and entertaining stories of Calgary’s history on a lively walking and tasting tour in the Designer District. Come on out and join us. It’s a great way to savour it all. Coincidences make for great stories. One day last week, I went to visit Christina Mah. 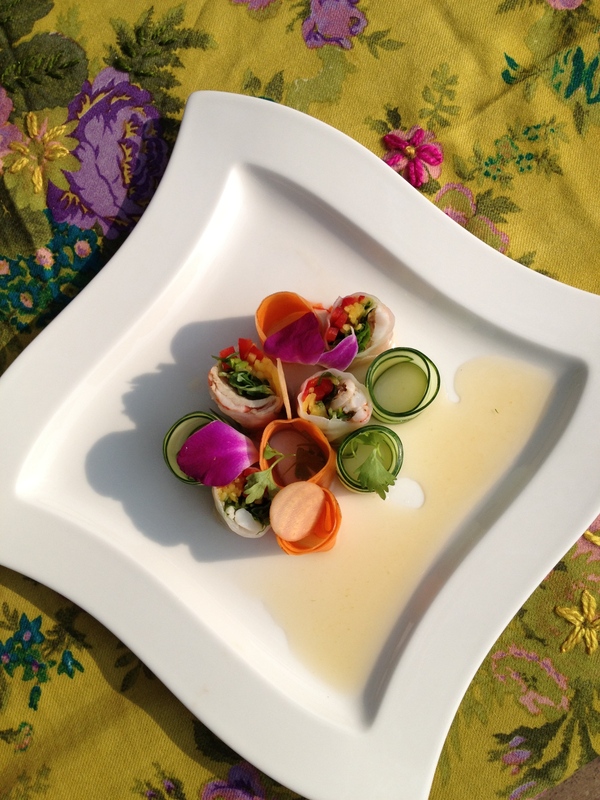 Mah is the general manager of The Hotel Arts’ “Viet Mod” bistro called Raw Bar by Duncan Lee. She is also the president of the Alberta Chapter of the Canadian Professional Bartender’s Association (CPBA). I interviewed Mah about cocktail making and asked if she would create a summer cocktail that I could share with you. Her creation is fresh and seasonal. Fresh and seasonal might not be words you think of when it comes to cocktails but they are an emerging cocktail trend that – happily – seems to be here to stay. 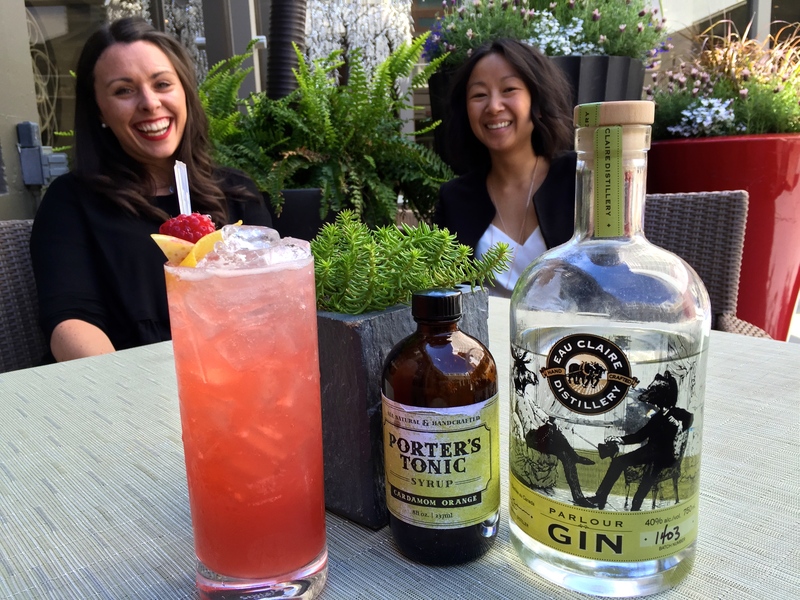 In this post I’ll talk about how to make cocktails, give you some recommendations for great places to drink them in Alberta and I’ll also share the story of how we named this drink Gnome Come Home after the Raw Bar’s gnome mascot was coincidentally “kidnapped” the day I arrived to interview Mah. Fine wine delivers a small bouquet of joy. Especially when that wine is paired with great food. 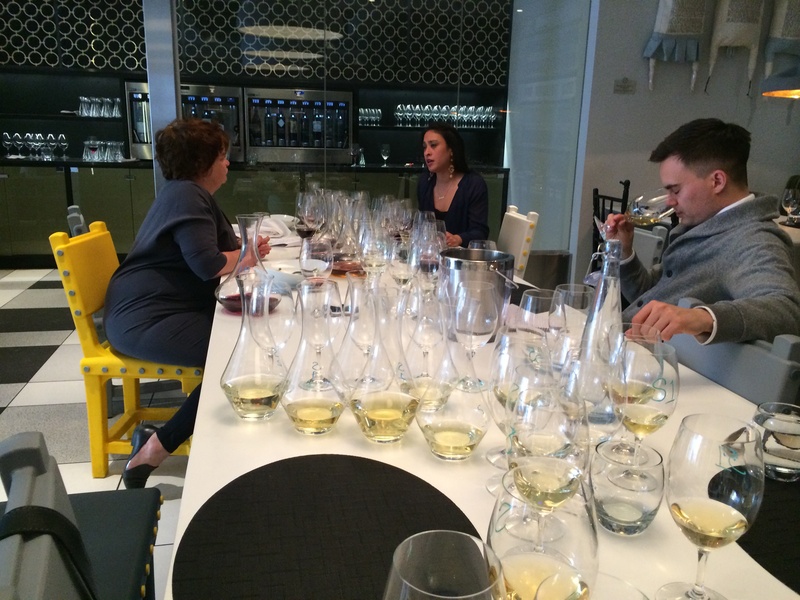 Knowing which wine to pair with what food is the work of sommeliers. Writing about a sommelier challenge that involved three incredibly talented sommeliers, three wine expert judges, two savoury dishes from one of my favourite chefs in town and 12 incredible wines can only be described as a plum assignment with spicy notes and an incredible finish. Humanely raised pork is a great ingredient. Yesterday, I wrote about a few Alberta Pork Producers that are raising their animals humanely. Today, I’d like to share the recipe for the beautiful pork salad rolls pictured above. Consider them an added incentive to go out and find some of these products. You can nourish a new direction for the pork industry as you nourish yourself. This recipe was created by a wonderful cook that I know; chef Duncan Ly of the Hotel Arts in Calgary. Ly shared this recipe for a PBS television show called Off the Beaten Palate. I was the production assistant for that show when they visited Alberta and one of my jobs was to line up chefs and farms to highlight Alberta’s culture and cuisine. Ly’s food is so beautiful in both taste and style that I was thrilled when he agreed to participate. I had previously guided chef Ly on a visit to Spragg’s Meats pork farm and I knew he loved the taste of their product. We were all thrilled with the beauty of the dish he presented. This post will share chef Ly’s recipe in both a written and video format. 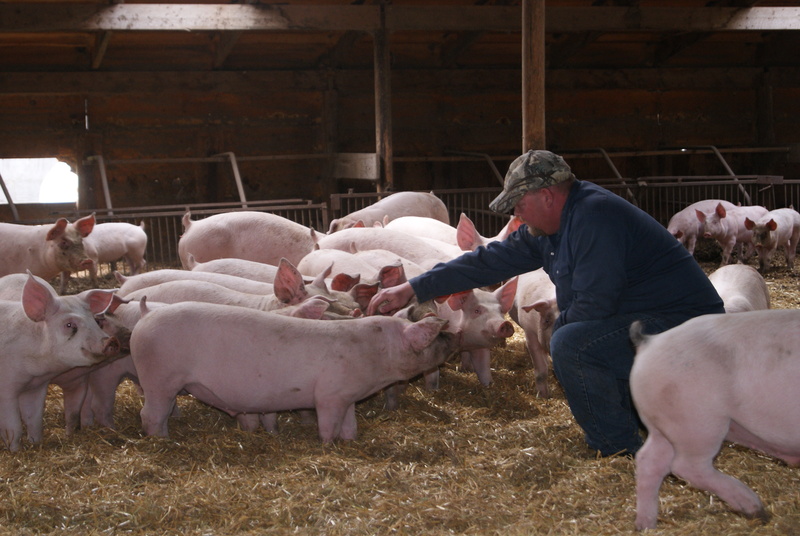 Deadly pig virus spurs Alberta Pork to organize farmer meetings. The United States has an epidemic of porcine diarrhea that has killed approximately three million piglets and cost that country $240 million dollars. I just finished reading this news in the article above by Amanda Stephenson. Stephenson’s piece also reports that Ontario has just seen its first outbreak of the virus and a spokesperson for Alberta Pork says that “the real question is, can we keep it out of the Prairies?”. I think that question misses the point. I think the real question is not “can we keep it out of the Prairies?”; I think the real question is why did these animals get so devastatingly ill in the first place? I suspect it has something to do with the industrialization of the hog industry but I’m not a farmer or a veterinarian. This crisis is just one more factor that has me and many consumers asking questions and wishing for greater transparency in our food systems. This post describes what I know about the current systems of how pork is raised and goes on to look at some small trends and ideas that might lead the way back to a healthier pork industry with hopefully healthier animals within that industry.